It's the first sight visitors see when they enter and the last glimpse when they leave. 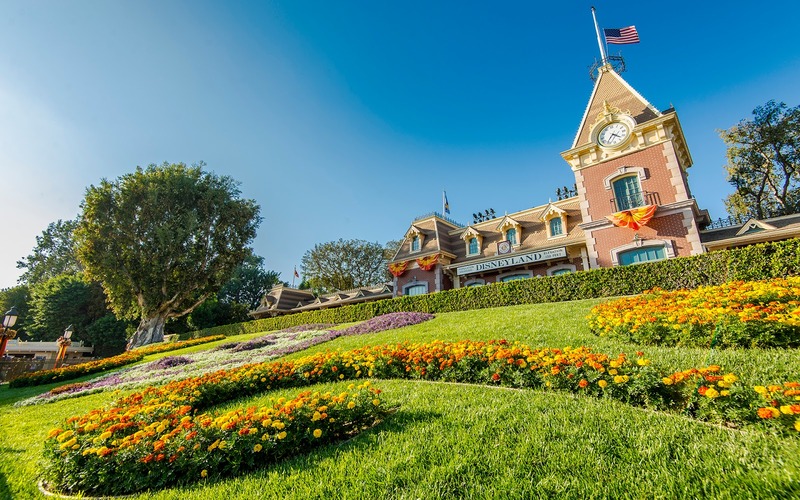 The Mickey Mouse floral arrangement on the lawn fronting the Disneyland Railroad Main Street Station has been a part of Disney history for generations. It is literally my first memory, and just a simple but lovely piece of landscaping. During the fall, the orange and yellow flowers give an even warmer, more welcoming feel. The train station trims complete the effect, and oh, what an even lovelier scene this becomes! Disneyland Railroad's Main Street Station during an autumn afternoon.